When the news broke yesterday morning that ESPN commentator Stuart Scott had lost his battle with cancer I once again found myself in a funk. The news hit me hard, but only partly because I was a huge fan. Yes, he brought us the classic home run call of “boo-yah” and when a guy like M.J. drained a game winning shot he’d remind us all that the player was “cooler than the other side of the pillow.” These calls stuck with us as sports fans and became part of the sports vernacular. But while I was sad about his death because he was a great television reporter, I was even more upset that he died at such a young age — around my age. Stuart Scott and I are less than a year apart in age and while it’s always sad when someone dies young, since my own brush with death a few years ago these deaths seem to hit me harder. I don’t know Stuart Scott and he didn’t have a heart attack, but I feel a closeness to him and other people who die young. And not just celebrities. I have the same reaction whenever I hear about someone my age dying. I get really sad when people my age die; in fact, yesterday I was depressed for most of the day. I thought about his two girls and how they’ve been left without a dad. I thought about all the friends he had at ESPN and around the world. Man, 49 years is not enough time on this planet. I’m sure everyone who knew Stuart Scott or who was a fan of Stuart Scott felt the loss yesterday, and I’m not suggesting I feel it more because of my own experiences. Plenty of people have survived devastating diseases and believe me many of them have had it far worse than me. I think it’s just that each time someone like Stuart Scott doesn’t make it I am reminded that I almost didn’t make it and that starts me off on the “woe is me” stuff. I know I have been extremely positive about my heart attack publicly, and for the most part I have remained positive in my personal life as well, but that doesn’t mean I don’t have freak out moments about almost dying and it seems to be more prevalent at times when someone my age dies. If my wife is reading this right now I know exactly what she’s thinking: shut up and quit whining. You want to change places with someone who is actually suffering? There are millions of people who’d trade places with you. I need to remember that line whenever I’m feeling bad about my circumstances. Intellectually I get it, but sometimes it’s tough. The good news is, the sadness usually only lasts a short while. 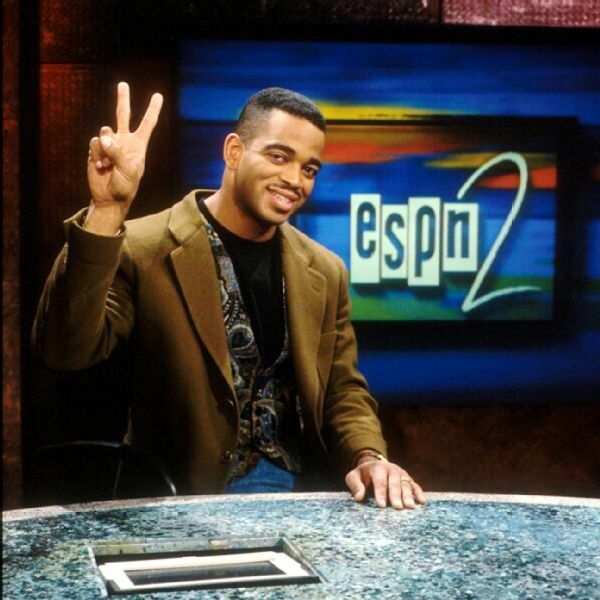 Which brings me back to Stuart Scott. He was one of those horrible cases. He suffered through seven years with cancer, including multiple surgeries and chemotherapy. I chose to share the old photo of Stuart in this blog post because that’s how I will always remember him, not as the frail man he became over the past few years as a he battled the disease. So while my initial reaction to Scott’s passing was sadness, today I woke up with a renewed spirit to live my life to the fullest. Not all of us get a second chance.